Disposable towels made of nonwoven fabrics are an excellent alternative to conventional cotton towels. Due to natural ingredients in their compostion Etto TM towels provide the most pleasant tactile feelings. The main advantages of disposable towels of Etto TM are lightness and easiness of use, high capacity to absorb and keep moisture in comparison with standard cotton and paper towels, saving, hygienic and hypoallergenic properties. The use of disposable towels of Etto TM significantly reduces washing and disinfection costs. Due to their high hygroscopicity disposable towels of Etto TM are widely used in beauty salons, aesthetic medicine centers, hair salons, tan salons, baths and at home. While visiting such a salon every customer gets a new towel that meets health and safety standards. If you use disposable towels of Etto TM, you are sure in cleanness and safety of the hygienic procedure. The range of Etto TM towles is characterized by various textures, convenient sizes, fabric quality and environment friendliness. Due to its composition Etto is an ideal combination of viscose and polyester. Only such a combination provides with an incredible fusion of softness and lightness of the material together with its strength. Cross-lapping is a breakthrough in the cosmetology world. Fibers in Etto towels are perpendicular to each other. This is what provides unmatched strength of the material. Etto towels do not stretch, do not lose their shape, which is important for most cosmetic procedures. High density of the material provides with optimum absorbent properties. Etto towels instantly absorb the most moisture. Try to compare it yourself to see this. Etto towels combine high strength and density, at the same time they ensure free air circulation without disturbing oxygen to get to the skin. 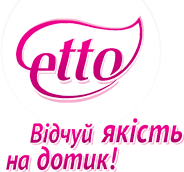 Etto Towels are made of natural ingredients and do not leave lint on a wet body. Etto towels are hygienic and hypoallergenic for all skin types.